Now, more than ever, people are contemplating starting their own businesses. This is because the economic situation that the world is in is so uncertain that you never know when your boss is going to be delivering the scary pink slip to your inbox. And while some start up businesses are, unfortunately, doomed to failure almost from the beginning, many of them are not, and can actually become a great way for you to earn either extra income or a main income. 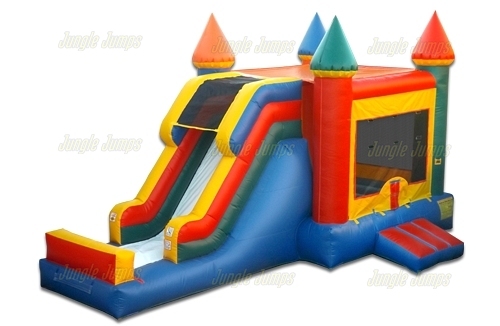 One type of business to start that is very popular is to rent out bounce houses. But why should you start a bounce house rental business? 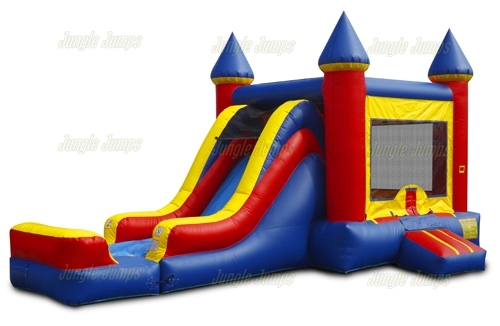 Unlike some businesses, it’s very easy to start a bounce house rental business. Visit any bounce house manufacturer and you’ll learn anything that you need to know about bounce houses. You can even find the instructions for how to transport one, set it up, and store it properly online. Bounce house sales have never been hotter than they are now, and this is because so many people realize that this type of good, clean fun is extremely popular, and also because it’s a very easy business to begin. 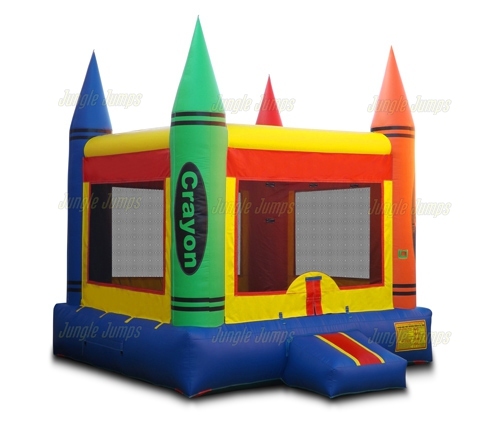 You just need to have bounce houses and to design a rental rate that is appropriate for your area and you’re just about ready to start! One of the biggest reasons why it is such a good idea to start a bounce house rental business is because of how popular the houses are. Bounce house sales are high not only because they’re an easy business to begin, but also because people know how fun they are. Go to any party with young children that has a bounce house and you’ll see that the house is filled the entire time that the children are at the party. This means that those who start up a bounce house company actually have a very easy time finding clients, because everyone wants to rent a bounce house. Before starting a bounce house business, it’s a good idea to do some research about the many different types of bounce house manufacturers that you can purchase your house from, and to learn about bounce house sales, how long they last, how to care for them, and it’s also a good idea to search for some people who have had experiences in renting out these houses, so that you truly get a good understanding of how a bounce house rental business can change your life. Despite following safety procedures to the letter and taking all of the necessary safety precautions to protect your inflatable business, someday something will go wrong. It may be a mistake on your part, or something out of your control, like a child not following the rules while on the equipment. Either way you need to be prepared and know how to handle an accident. If and when an accident does occur you will need to complete an incident report form. Incident forms are a critical way to protect yourself and your business from potential lawsuits down the road. Even if the accident seems minor, it is important to document it and complete an incident form regardless. Many insurers have their own incident form that you can use, complete with all of the necessary information you will need to collect. The form should be completed immediately after an accident and should have as many details as possible. This way the truth will not be disputed in the chance that the incident may go to court. Make sure the incident report is signed and dated by witnesses to the accident, and have them also include their phone number in case you need to contact them in the future. In the event of an accident, it is important to remain calm. This will keep the crowd calm as well. Immediately assist all un-injured people from the inflatable. Once you have deduced that an injured guest needs medical assistance, get help as quickly as possible. The more time you spend standing around doing nothing the more negligent and liable you will look. Do not ever remove an injured person yourself. This can open you up to all sorts of post-injury liability. Contact first-aid personnel or other services as required. Your staff should always be well versed in first-aid skills, with periodic training updates, and current safety certifications. Maintain a record of all injuries. Each state has a statute of limitations for how long this information must be kept. Because the injured party may wait a year or longer to file the lawsuit you will need to maintain this backup information. Taking the necessary safety precautions will reduce the number of accidents. But training yourself and your staff on what to do during a medical emergency will protect yourself and your company. Marketing is an important aspect of any inflatables business, but like any business your funds can often be limited. It is important to set a budget for your marketing expenses and allot for various marketing activities throughout the year, or quarter, as your budget allows. Before you can begin identifying the appropriate marketing mix for your inflatable business you need to determine what your budget will be. Sticking to a budget will make sure you are able to maximize your marketing dollars, while remaining within your company’s financial means. There are several methods to determine what your business’ marketing budget should be set at. Percentage of revenues – Using this method requires taking a fixed percentage of your revenues and allocating that set amount for marketing purposes. The most commonly used number for smaller businesses is 20% and 5-10% for larger revenue companies. Percentage of net sales – With this method your marketing budget is determined as a fraction of your sales. This method differs from percentage of revenue because expenses are excluded in the calculations. Everything you can afford – As vague as it may sound, if your business is new, fast-growing and aggressive this may be the method for you. Using this method you set aside the money you need to keep your business alive, and to support yourself and your family. The remainder of this goes toward your marketing expenses. Just a little more than the competition – Try to find out how much your competitors are spending on marketing and spend just a little bit more on your own marketing initiatives. This may be a difficult approach as your competitors’ marketing spending information is not readily accessible to you. Desired customer growth – If you are able to come up with a quantitative number of new customers you are looking for this is a great method to use. You need to determine how much it costs to obtain a customer and multiply this number by how many new customers you are looking to attain. This then becomes you marketing budget. Desired market share – This method is based on a set goal of attaining a certain percentage of the market. You first need to accurately determine what the market is. Estimate the marketing expenditures of other companies within the industry. Then take a specific percentage of that based on your goal of what you would like to attain of the market. Objective / task oriented – With this method you need to set out specific objectives, and plan out the tasks required to complete these objectives. Then estimate the cost for all of those tasks. Remember that whatever budget method you choose, you need to be flexible. There are many internal and external factors affecting this. Your marketing expenditures may change with your company sales, the industry and the economy.